How to catch carp in a few (or more) easy steps – the advice below, if followed will make you a better angler than 70% of anglers out there. Grab a pen a paper to make notes and follow the following carefully and you’ll be a great angler. To begin with, a bolt rig will be sufficient to catch a few fish. It is one of the most simple rigs to tie and are pretty effective. Stick with the bolt rig until you have confidence that you can land and handle the fish properly. You’ll start to tie more complex rigs once you are ready to target bigger fish, I can assure you that you do not want to catch the big fish yet, they are a handful on the bank and attract a lot of attention, so you need to know what you are doing first. Do not empty all of your bait into the lake as soon as you get there, in most cases, less is more. Once you throw all of your bait in, you are committed and won’t be able to move if you see signs of fish elsewhere. Remember that less is more, usually, a handful of boilies per fish will be the rule of thumb, if you start catching lots of fish you will want to put a little more in each time you catch. It’s very rare that you will need to put a lot of bait in, despite what the bait companies tell you, they just want you to buy more. Fishing to features such as islands and reed beds is a good place to start, but look out for movement in the water, bubbles from feeding fish and fish jumping out, once you get an idea of where the fish are, you can move to follow them, ideally you would walk around the lake for at least an hour watching for fish, but on a day session or a small lake you’ll want to get your rods in as soon as you can, but always keep your eyes and ears open and move as soon as you see signs of fish. 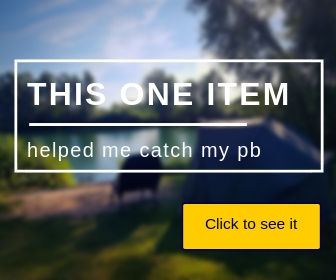 You are learning how to catch carp, you have bought all of the carp equipment, the carp bait and are looking to catch carp, make sure you are fishing a lake that has carp….simples. Look on the lake’s website, ask the bailiff. There is no benefit of you fishing a lake that only has six 40lb+ fish, it’s likely you’ll lose your patience very quickly and give up. Find a well stocked local lake that has fish up to 10lbs and you will be off to a good start, it’s important you practice with the small fish first. 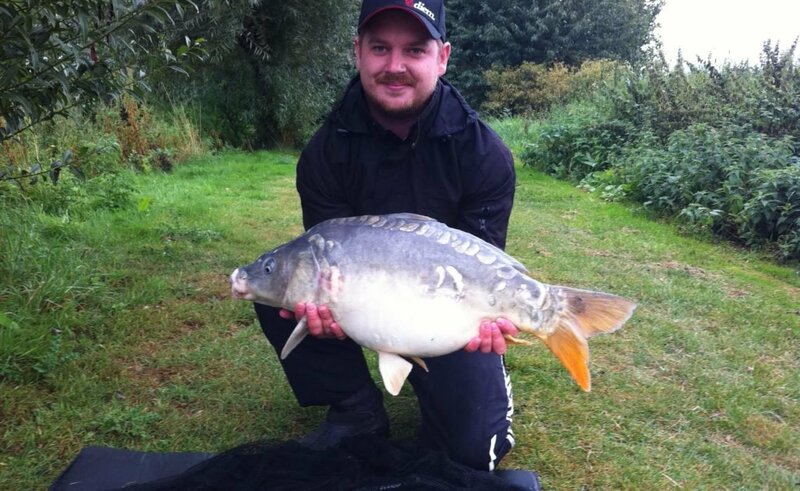 Before you start fishing, have a wander around the lake and talk to the anglers that are already fishing, find out if they have caught many from that lake, how often they go, what bait they like to use etc… Don’t turn it into an interview, but just find out as much as you can, one little snippet of what they say may help. If they have caught lots of fish from where they are, it might be worth setting up nearby. Also, speak to the bailiff, they want you to catch fish because they want you to come back again, they are at the lake day in, day out and talk to every angler so find out what they know. Even the littlest detail can make a huge difference. On one lake I fish, I found out my boilie was slightly too big, as soon as I went to a smaller boilie I caught over and over again, one subtle difference is all it took! In fact, take as much equipment to the lake as possible, but only unload what you need and nothing more. You might not need 15 different types of boilie, you may only need to take two types. The less gear you have to carry, the easier it is to get up and move at a moments notice, it is critical that you enjoy fishing and make your life easier by not having to lug heavy gear around just for the sake of it. Do you need a chair, or can you sit on the floor or a bucket? I’m sitting on my unhooking mat as I write this. Do you need the large unhooking mat or will the smaller size one do? Trust me, it makes a big difference. Make sure you have enough tools for the job but don’t overdo it. I keep saying it and ill keep saying it, it’s very important, especially on a day session, you need to make the most of it, what is the point of being there? To catch fish right? So find them and catch them, don’t be lazy, it’s a surefire way to get bored, very quickly. If you are fishing for more than 24 hours, don’t unpack the bivvy yet, use the daytime to make sure you have the fish in front of you, if you set up the bivvy first, the chances are that you won’t want to pack it all away when you see the fish on the other side of the lake. You won’t need to take all of the bait you own with you, usually, a small bag of boilies will do, although some lakes don’t allow boilies so be sure to check first. When you walk around the lake to talk to people, find out what is working for them and bring a bag of that too as a backup. A good friend of mine has a huge holdall full out bait, he takes it to the lake every time, but this means he also struggles to get it to the swim every time and then he doesn’t want to move if he sees fish elsewhere because it is too much hard work. Please don’t get stuck into this rut! This is imperative, hooks are really cheap and they are vital to hooking the fish. You could get, the location right, the bait right, have fish picking up the bait all day long, but spitting it straight back out because the hook is blunt and you won’t even know its happening, pull the hook gently across your fingernail, if it digs in, it’s good, if it scratches the surface then it needs changing. There is no excuse for a blunt hook. Don’t go scaring the fish, be quiet on the bank, if you put your head under the bath water you will hear all over the conversations in the house, this is the same for the fish. Each time you close your car door, they can hear it. Each time you use a hammer on a bank stick, they can hear it. Each time you laugh at your mate’s joke, they can hear it. Furthermore, so can all of the other anglers and they are there to relax, so please keep the noise down at all times. By the way, if you need to use a hammer on a bank stick, don’t, buy a rod pod instead. Keep your favorite bright yellow shirt at home, there is no place for it on the bank! Dress in dull or dark clothes. Keep away from the water’s edge, there may be fish feeding in the margins ready for you to catch. Don’t run on the bank, they will hear you, please you might trip and fall into the water! Use trees or bushes for shelter. You can do this anywhere, generally, an empty field is the best place, but accurate casting is a skill all anglers need to learn, not only to hit the spot first time but also to save casting into trees and losing gear. Take some bank sticks to an empty field, place one every ten paces up to 100 yards (or more if you need too) and try to hit each bank stick, or at least within a couple of feet, hula hoops are also good to aim for. You can never have enough practice at casting. Make sure you keep a diary whilst you are on the bank, make notes of where you fish, where you catch from, jumping fish, bubbles, snags, features, inlets/outlets, weather, lake depths, date and anything else that may be relevant – it will help build a picture and patterns may emerge making it easier for you to locate the fish each time you visit. Learning how to catch carp is really as simple as that. Carp Night Fishing Checklist – What Do You Need? Hello, my name is SHANE! Fishing Again is a community and a blog here to get you starting in fishing. We are here to help you get better each session.